An access key to register to an existing Guild Wars® Campaign. 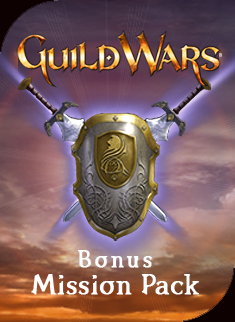 With the Guild Wars® Bonus Mission Pack, you play through four pivotal moments in Guild Wars® history and earn rare weapon rewards—some of the best-looking gear in the game! Discover what became of Gwen after the Charr invaded her home, and the Searing destroyed everything she'd ever known.